Preliminary, unofficial primary election results from Eagle County voters only in contested state and federal races as of 9 p.m. Tuesday, June 26. After record amounts of campaign spending and months of the airwaves being flooded by ads — some of them a bit nasty — all of the drama was over rather quickly Tuesday, June 26, in the Colorado primary election to replace term-limited Democratic Gov. John Hickenlooper. 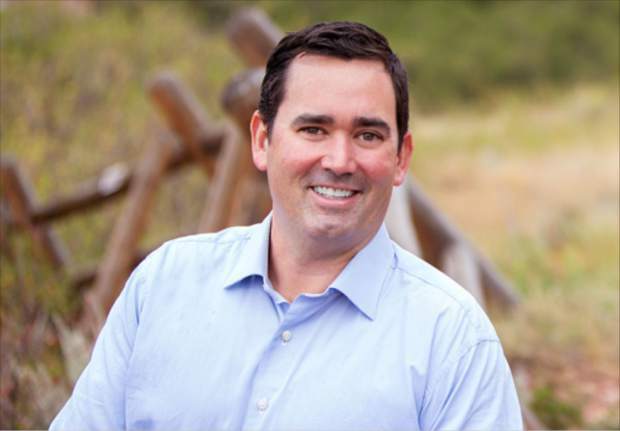 Republican Colorado Treasurer Walker Stapleton rather handily defeated three other contenders for the GOP nomination to run for governor in the Nov. 6 general election, where he’ll square off against U.S. Rep. Jared Polis, who also breezed to victory over three Democratic challengers. “Elections are about choices; they are about the direction we want to see Colorado head in the future,” Stapleton said in his victory speech. “Tonight, we celebrate the first step, and we will offer Coloradans a hopeful vision of economic opportunity for all of our children. Colorado can do better, and we must. Republicans have not held the governor’s mansion for more than a decade, dating back to Gov. Bill Owens in 2007. This was the first Colorado primary election in which unaffiliated voters could declare a party preference and cast a vote. According to the Secretary of State’s Office, 1,043,685 Coloradans returned ballots (411,578 Democrats, 380,974 Republicans and 251,133 unaffiliated). Kennedy, a former state treasurer whom Stapleton defeated in the 2010 Tea Party wave, offered a conciliatory statement to Polis after a primary that, at times, turned negative over education issues. Polis — one of the few openly gay members of Congress — has two young children with his partner and could become Colorado’s first openly gay governor. But his defeat of Kennedy and Lynne assures that the state will continue its 142-year history of not having a female governor. Unofficial results had Polis winning with 45 percent of the vote after about 80 percent of the precincts were counted at 9 p.m. Tuesday. Kennedy was second with 25 percent of the vote, followed by Johnston (23 percent) and Lynne (7 percent). Unsurprisingly, Johnston unofficially won Eagle County by a margin of 42 percent to 38 percent for Polis. At press time, Johnston — a former Denver-area state senator, Obama administration education advisor, son of a former Vail mayor and the first Dem to jump into the race last year — had not issued a statement. Stapleton beat out Victor Mitchell by a margin of 49 percent to 30 percent with a similar number of precincts counted, followed by Greg Lopez (12 percent) and Doug Robinson (9 percent). Democrats nominated Boulder’s Joe Neguse to run for Polis’ 2nd Congressional District seat, and Diane Mitsch Bush appeared poised to rather easily defeat two other Democrats in her bid to challenge incumbent Republican Scott Tipton in the 3rd Congressional District, which includes the western two-thirds of Eagle County, Pueblo and the majority of the Western Slope. Mitsch Bush used to be Eagle County’s state representative before resigning to run for Congress. She was leading Carbondale’s Karl Hanlon 64 percent to 28 percent with just less than 70 percent of the precincts counted. Former Eagle County Commissioner Arn Menconi trailed with 8 percent. Mitsch Bush unofficially won Eagle County by a margin of 71 percent to 15 percent for Hanlon and 13 percent for Menconi.